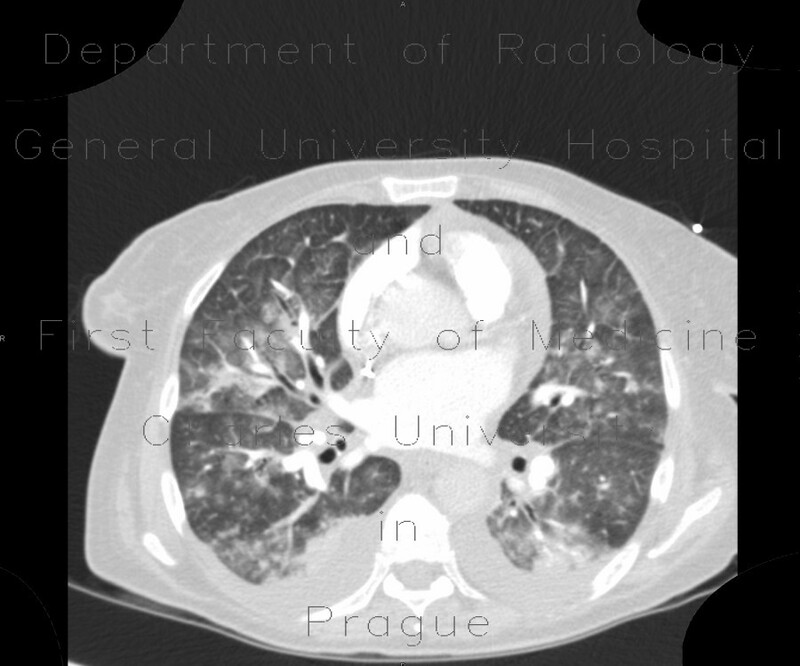 Multiple infiltrates in both lung wings with relative sparing of the periphery in a female patient after bone marrow transplant due to lymphoma, who developed breathlessness and fever. Pneumocystic etiology was suspected and confirmed. Bilateral pleural fluid.